#TwitterSmarter is a twitter chat activity hosted by social media power influencer Madalyn Sklar. We invited our friends from Hootsuite to come on the chat and kick it off by answering one pressing question about Twitter marketing. 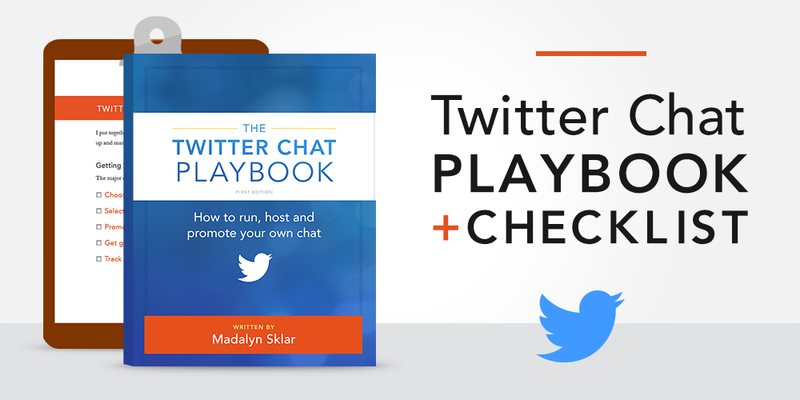 Madalyn Sklar has been hosting Twitter chats every week for the past six years. She shares her vast knowledge in this playbook and checklist. Madalyn Sklar ~ Twitter Marketing Strategist. Podcaster. Blogger. Speaker. Madalyn Sklar is a Twitter Marketing Strategist. Speaker at #SMMW16. Keynote #SMDayHou. Host of #TwitterSmarter chat Thursdays 1pm ET and Twitter Tips podcast. A bag of Twitter informational sources compiled by Guy Kawasaki. Tools for your organization to better understand social media, define a social media plan, and create a social media policy.